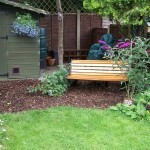 “Judi has utterly transformed my garden since her first visit at the beginning of 2012. In particular, there was an area towards the far end which I always found difficult to do very much with. Judi created a beautiful Dingly Dell within it and planted evergreen and deciduous shrubs which will produce berries for the birds and perfume for me and pollinators! 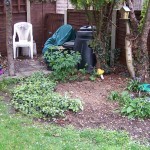 Judi prepared a planting plan for the whole garden and plants are gradually being added as budget allows. 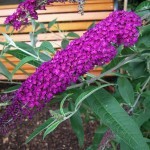 Those which are becoming established are transforming the garden and the buddleja is now attracting beautiful butterflies, hoverflies and even a magnificent damselfly into my garden. 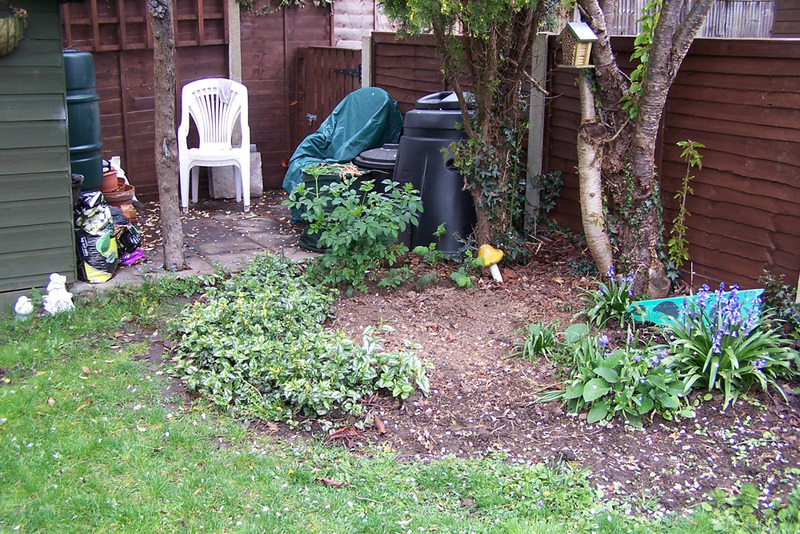 I am now looking forward to further planting which Judi has shown me will begin to create interest throughout the year. Judi is a joy to work with and how happy am I that I found her all those months ago working in a neighbour’s garden and asked her to help me too!” Rita Donovan, Winchmore Hill. Thanks Rita very much for your great feedback on my business.. I have loved developing your garden and as we continue to add further plants, watching the changes evolve over time, it’s a thrill for me too! 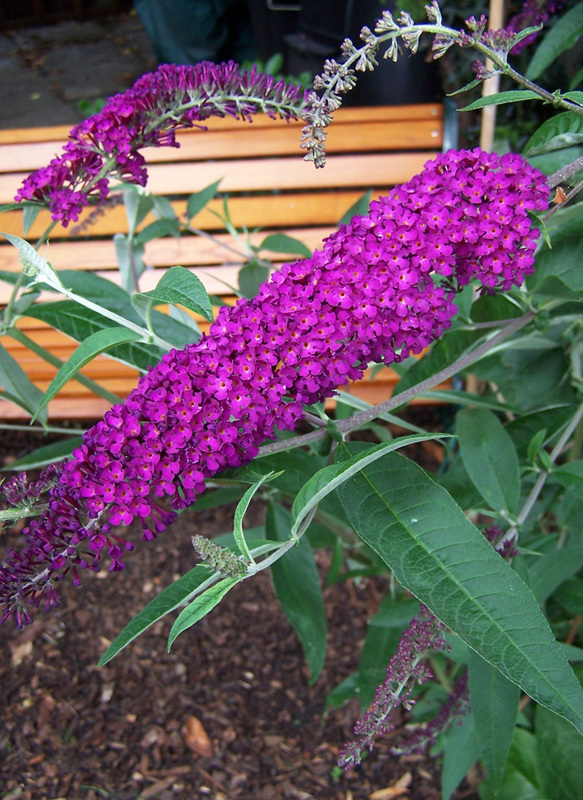 The Buddleja in the planting plan is a Buddleja davidii ‘Royal Red’ which is now in flower and falling beautifully into the space. The arching habit of this plant is perfect for partially hiding the view to the Dingly Dell and giving you intimate contact with the plant when sitting on the bench. If you would like to talk with me about a new planting scheme in your garden, please do feel free to get in touch, my email is judi@judithegardener.co.uk. 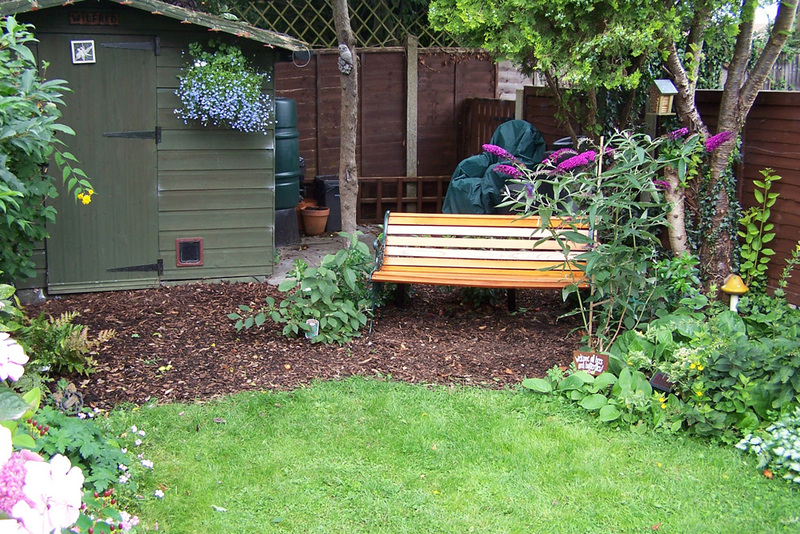 For gardening development and maintenance enquiries (North-East London, Essex, Hertfordshire and Enfield) please telephone 07818 005773. NextFlowers but oh so much more..